Oops, we did it again! New releases. 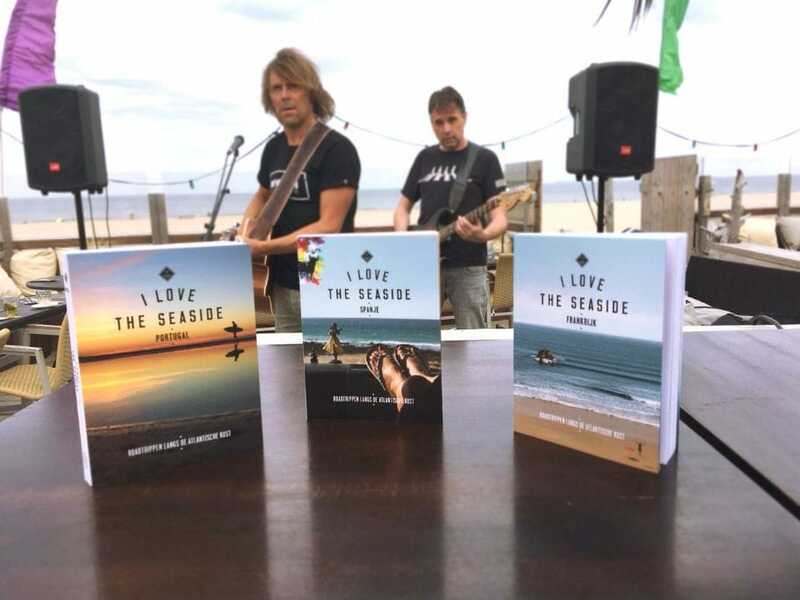 Shortly after releasing our first surf & travel guide in June 2016, a very cool Dutch publishing house, MoMedia, asked us to create three spin-offs of our I Love the Seaside guide. The idea? Roadtripping along the seaside. Been there, done that. Tempting as it may sound, we debated and debated: would this be confusing, could we pull it off, why work with a publisher when we’ve proved we can do it all ourselves. At the end of 2016 we met up with the amazing people of the publishing house, who handled all our scepticism with patience and care, and easily transformed it into wholehearted optimism! We realised we could offer an even bigger platform to all the fine people, places, shops, bars, restaurants, creators and entrepreneurs we met along the way over the past few years. Plus, we love a challenge. So, using our initial guide as our guide, we created three new travel guides! Three guides, three countries: France, Spain, Portugal. The emphasis in the new trio is on travel and beaches, not so much on surf, but all the outdoorsy stuff. They’re published in the Dutch language (sorry non-Dutch-speaking folks!) and suited to every seaside lover; sunbathers, outdoor folk, glamping-style globetrotters, seashell collectors, birdwatchers, surf mommas, SUP dudes, yoga-on-the-beach-babes and hiking-biking-or-triking geeks too. Along the way, of course, we discovered even more fine places, set-ups, start-ups and classics, even better beds and beers and beardy folk. Some inspired us to make a few updates to the original guide, so, what was to be a reprint became the 2nd edition with little revisions for SW Europe. And that’s all we’ve been doing. What about you? We love to hear! Share your adventures with us – in the comments, by email, on Facebook or Insta. Want to know something and wonder if maybe we have the answer? Ask us. More news on that soon! If you want a ‘pssst’ on the topic, follow us here or there to stay up to date.